Common in new housing. Alternative to copper pipe work. 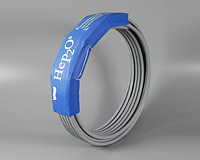 Click here for Hep2O fittings.